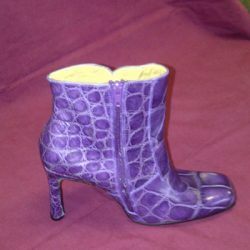 They say the shoes make the outfit, and when the shoes are made of exotic leather, they’re going to do more than just make your outfit—they’re going to define it. 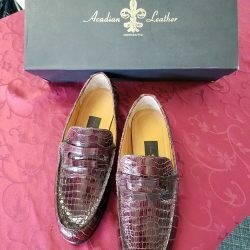 Acadian Leather is proud to bring you a wide variety of customization options when it comes to getting high-quality, exotic leather shoes. 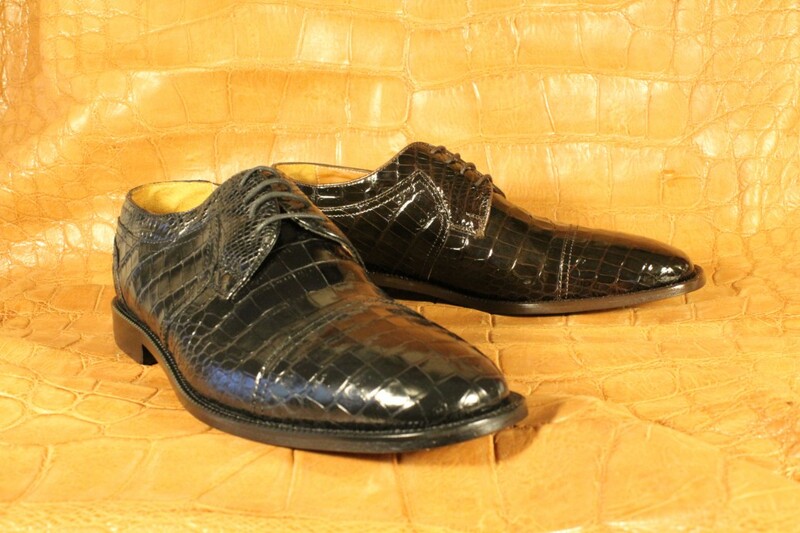 We offer crocodile, ostrich, elephant, stingray, python, cobra and even alligator shoes in Baton Rouge, LA—totally tailored to meet your specific tastes. 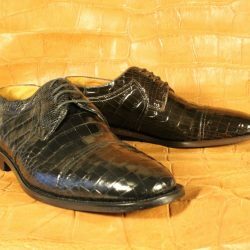 Whether you’re looking for a versatile pair of snakeskin sandals or want a formal pair of custom crocodile shoes in Baton Rouge, LA, count on us. We’ve designed and create all types of footwear and understand the nuances of customizing different shoe styles around your preferences. 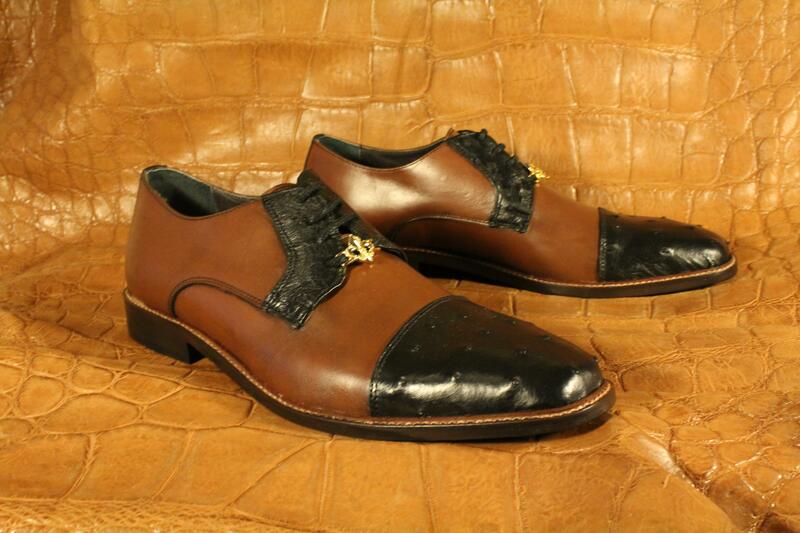 For men and women alike, we’re the authority on exotic leather shoes. We do more than just let you pick the type of leather you want for your shoes. Everything is customizable—from the color and shape, to the stitching, pattern and type of sole. We can even do two-tone colors! We measure your foot to size, then consult with you about the style and accents you have in mind. 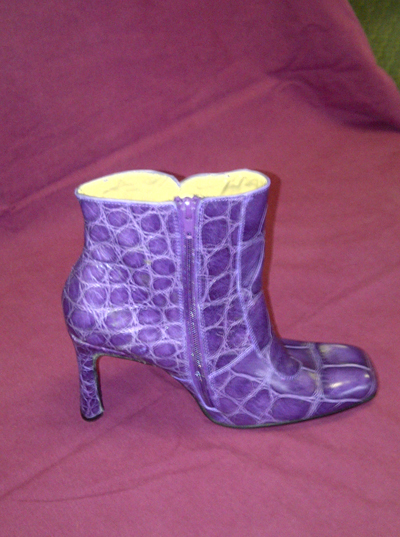 From there, we’ll design the look of the toe, heel and the sole. We’ll make sure the entire creation reflects your preferences, then get to work bringing it to life. Because all of the footwear we create is custom and utilizes only the best in sustainably-sourced hides, please note that it may take between 3-10 months for your custom order to be processed. We will keep you apprised of your order status based on availability of the prepared and colored skins. 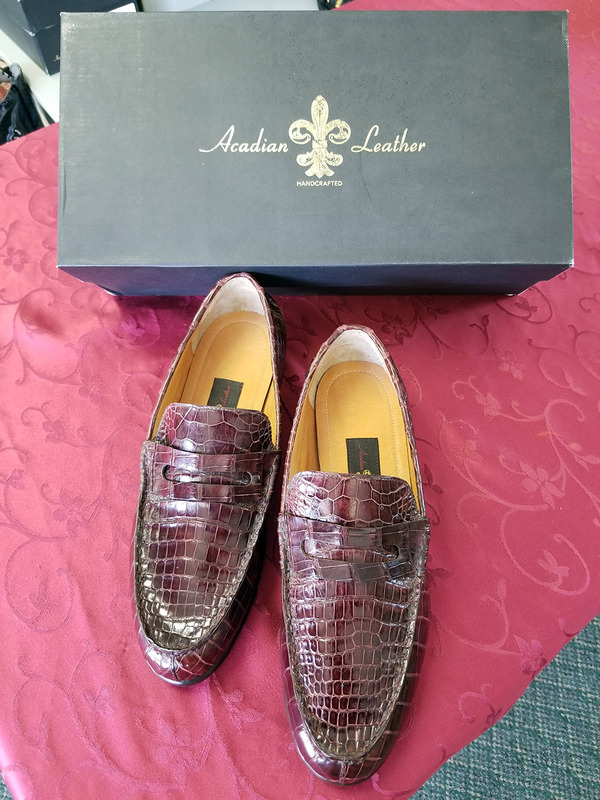 Acadian Leather wants to put you in a pair of luxury leather shoes that speak volumes about your style and dedication to sophistication. No matter the style you want or the leather that appeals to you most, we promise a pair of shoes unlike anything else you own. 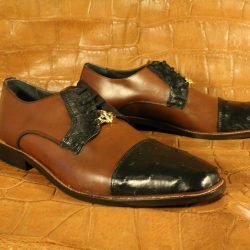 Reach us today at 225-683-9988 to begin designing your custom pair.